A visually beautiful meditation on the nature or death and mortality, this film is meant to make the audience think. Based upon a novel with the same name, GOTH follows two high school students with a morbid fascination with murder. Kamiyama (Hongo Kanata) is a seemingly normal high school boy who hides his sociopathic interests under the guise of a friendly and carefree personality. On the other hand, Morino (Takanashi Rin) does very little to hide her strangeness; the young girl rarely smiles, refuses to interact with her classmates, and insists on wearing her long-sleeved, winter school uniform even during the height of Japan’s notoriously hot summers. Externally these two seem to have little in common, but have struck up a friendship around their shared fascination with death and the macabre. Initially happy to just exchange books and notes with one another, a recent string of murders inspires them to discover the identity of the serial killer ALA Nancy Drew or the Hardy Boys. The killer seems to have an obsession with cheerful young women and, after killing them and severing their left hands, displays their dead bodies in public locations across the city. After Morino discovers the killer’s notebook in a local café, the two use it to see the corpses for themselves before discovery and attempt to discern his identity. Obviously, the closer they get to discovering him, the more danger they are in. While GOTH might initially seem like a darker take on young detective fiction, the film is much more than meets the eye. 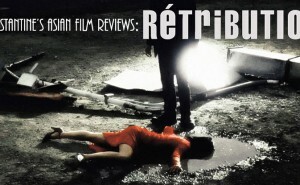 The film studiously avoids horror film conventions and does not show any violence or gore. Like the main characters, GOTH is interested in the aesthetic qualities of death and the act of murder; the film shows little interest in actually scaring the audience. 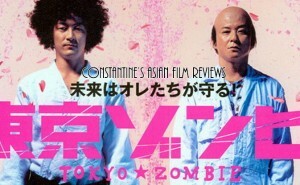 Directed by Takahashi Gen , the film unfolds in the typical Japanese ‘slice-of-life’ fashion; the slow moving plot is uninterested in rushed revelations and most of the film takes place in empty classrooms, an eccentric café, and quiet bedrooms. Working with cinematographer Ishikura Ryuji, Takahashi also gives GOTH a surreal look with an emphasis on light and shadow. The overexposed white gives both the living and dead characters a ghostly appearance, particularly the strikingly beautiful Takanashi Rin. This beautiful cinematography, combined with the deliberately slow pace of the story, results in a surprisingly beautiful movie. 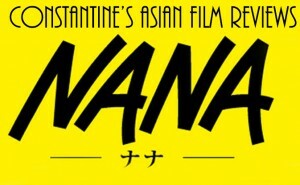 The atmosphere of the film is filled with death and it’s constant presence within the lives of the living. While people tend to repress thoughts of mortality and murder, the serial killer’s fascination with displaying dead bodies in public locations is a shocking reminder that death can creep into our lives at any moment. In one of the first scenes, a breezy summer day is slowly tainted by the discovery that the lovely woman seated on a park bench in the center of the camera frame has been dead for the entire scene, unbeknownst to either the characters or the audience. A beautiful walk through the lush green foliage of the Japanese countryside is interrupted by the surreal image of a dead woman posed on a red armchair. The soundtrack reinforces this sinister atmosphere with an impressively ambient quality that highlights the protagonists’ youthful naivety as they fail to notice the threat closing in on them. However, I personally found the perceived ‘threat’ of the serial killer to be one of the less intriguing aspects of the film. A much more intriguing aspect of the story is the relationship between Kamiyama and Morino. While Morino’s obsession with death can be connected back to the accidental hanging of her sister, Kamiyama’s interest in murder appears much more sinister due to his relatively benign upbringing. Both characters are uninterested in right, wrong, and morality, but Kamiyama displays several characteristics of a sociopath – a lack of empathy towards others, a lack of emotion, the ability to easily deceive people, etc. It becomes clear that Morino fantasizes about being murdered and that Kamiyama clearly fantasizes about murdering people. This creates a tense ambiguity between the two characters and forces the audience to wonder if Kamiyama would kill Morino if the opportunity ever presented itself. The film can drag on a bit and the conclusion of GOTH emphasizes a cathartic revelation about the protagonists rather than a narrative resolution about the serial killer. The plot device that sets the whole story in motion – Morino’s completely accidental discovery of the serial killer’s notebook – feels completely forced and unrealistic. 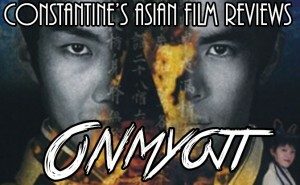 Several characters are superfluous and could be removed completely (this is probably the result of adapting a much more complex novel into a film). That said, the performances delivered by Hongo Kanata and Takanashi Rin are truly top notch and the young actors do a fantastic job bringing their unusual characters to life. 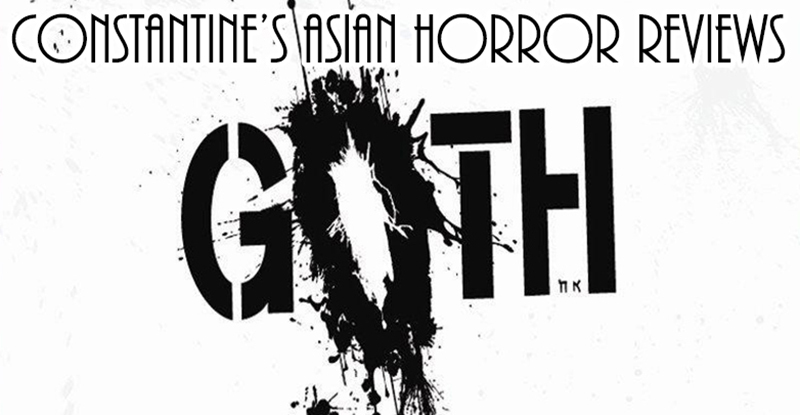 GOTH certainly isn’t a film for the standard consumer of J-horror (with it’s disinterest in scaring the audience or fully resolving the story’s key mystery), but it is a thoughtful and intriguing meditation on death and mortality. 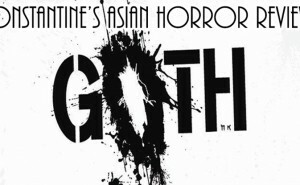 In short, GOTH is a film that is much more than it appears to be and one of the more impressive Japanese ‘horror’ films I’ve seen lately.